As part of the Presbyterian Border Ministry of the Presbyterian Church (U.S.A.) Compañeros en Misión focuses on church development and mission outreach working in support of three small Presbyterian churches located in the cities of Caborca, Nogales and Hermosillo, all in the state of Sonora, Mexico. All three congregations have demonstrated a membership growth during the last year. The program seeks to build faith, understanding and relationships among Presbyterians on both sides of the border. 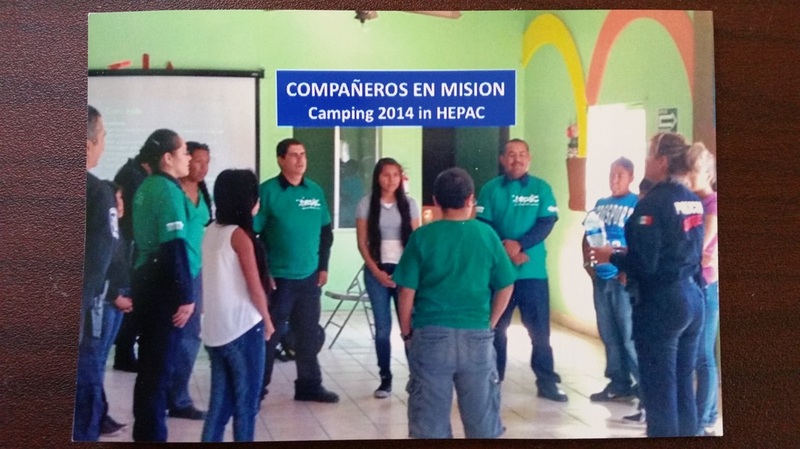 As a joint mission project of the Presbyterian Church (USA) and the National Church of Mexico, Compañeros is helping the Mexican Presbytery to enable the churches to become self-sufficient, self-governing and self-propagating. This photo is part of the 150 kids who participated in a camp themed "The Rights of Children". Compañeros en Misión appreciates your support for the work of this Ministry. Thanks for your prayers, for your interest, and for your contribution check on March 15, 2014. May God bless you. Lucy Greenleaf and Jorge Pazos Rev. Please help by making a contribution to Compañeros en Misión.